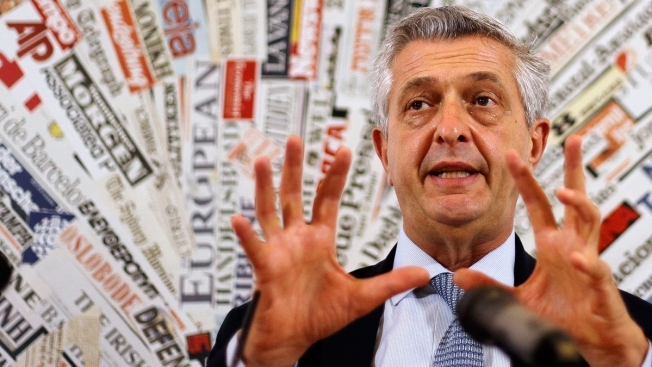 In this Friday, Sept. 14, 2018, file photo, UN High Commissioner for Refugees Filippo Grandi meets journalists at the foreign press club in Rome. With only the United States and Hungary voting no, the U.N. General Assembly overwhelmingly approved a non-binding compact Monday that provides more robust support for countries where most of the world's more than 25 million refugees live. U.N. Deputy Secretary-General Amina Mohammed said the Global Compact is very important because "in recent years, we have seen a contagion of closed borders, contrary to international refugee and human rights law." U.N. High Commissioner for Refugees Grandi stressed that the compact is not just "a U.N. document that stays in a drawer." The rollout of the compact in 15 countries so far has mobilized $6.5 billion that wouldn't have been accessible otherwise, he said. And it has already created "new momentum" and spurred "extraordinary projects," including in Ethiopia, Kenya and Jordan, in such areas as energy, connectivity, communications and technology. Grandi stressed that it's "a tough world" for refugees and migrants who are often stigmatized and politicized as threats. 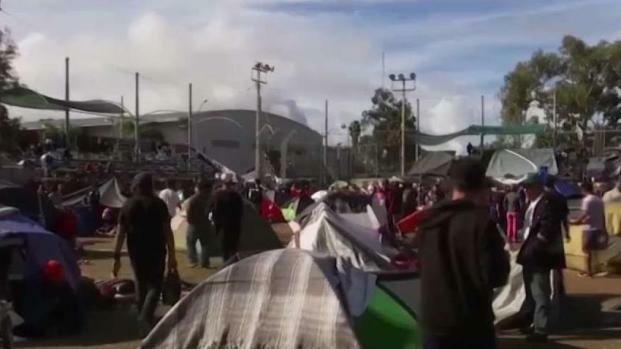 "One message is that these people not only deserve compassion and protection and solidarity, but when given the opportunity, they can make a formidable contribution to society," he said. He called the refugee compact "a powerful expression of how we work together in today's fragmented world" and stressed that "no country should be left alone to respond to a huge influx of refugees." Despite the Trump administration's opposition to the compact, Grandi said the United States has voiced support for refugees. And his office is "about to close the year with the highest-ever contribution from the U.S. to the UNHCR," he said.